West of England 4th Section 2016 Champions! West of England Region 4th Section 2016 Champions! WHAT A RESULT! We hoped to go to Torquay and play the wonderful test piece as well as we knew we could. We did ourselves proud and impressed the adjudicators the most out of 21 bands from all over the south west! The piece was called 'The Journal of Phileas Fogg' by Peter Graham and took us on a musical journey around the world. This means we have qualified for The National Finals in Cheltenham on th 17th & 18th September so we will have to start practicing a new piece for that competition! Hope it's a good one. 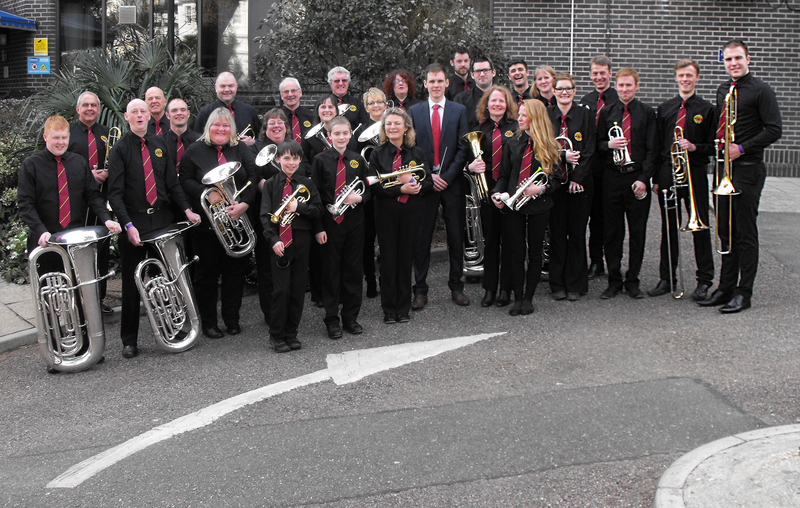 Here is our winning band, thought we'd keep the arrow in as a sign of things to come! !